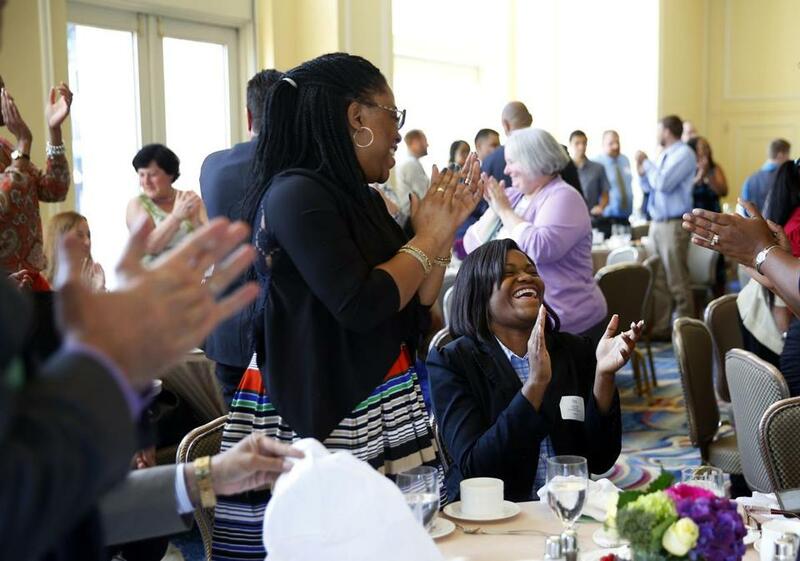 Natalia Phillip (right), valedictorian of New Mission High School, laughed as her sister, Janel Alfred, applauded her and her fellow valedictorians during a luncheon at the Boston Harbor Hotel. The 2016 valedictorians of Boston’s public high schools came from 12 countries, including Vietnam, Bangladesh, and Haiti. But they are united by their singular achievement, often overcoming obstacles to attain the honor, city officials said at a luncheon overlooking Boston Harbor on Tuesday. Suraia Silveira, valedictorian of Boston Green Academy, laughed as her friend Deise Mendes took her picture following the luncheon. Mayor Martin J. Walsh, schools Superintendent Tommy Chang, and School Committee members joined parents, teachers, and administrators to celebrate the successes of the 37 students at the 18th annual event. 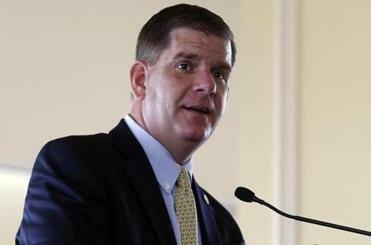 Walsh said the accomplishments of so many immigrant students proved that “the American dream is still alive and well,” but he also commended eight students who have been in Boston public schools from kindergarten through senior year. Across a dining room at the Boston Harbor Hotel, relatives beamed with pride. The valedictorian at East Boston High, Albert William Saunders IV — known as “Billy” — follows his parents and grandparents in graduating from the school, where he has played three sports while excelling academically. “More important than his academic [success] is how he’s caring as a human being,” she said. Billy Saunders said the diversity of his school helped make him who he is. “You can walk through the halls at East Boston High, and you can hear a bunch of different languages, see people from a bunch of different cultures,” he said. Mayor Martin Walsh spoke to the valedictorians. But his route to success is not radically different from other valedictorians who overcame adversity, he said. “Let us not forget our stories, our paths, and the events that motivated us,” Lafta challenged them. After the ceremony, Lafta said that in his childhood, he never could have imagined winding up in the United States, graduating as his school’s most honored student, and planning to study at Brown University in the autumn.